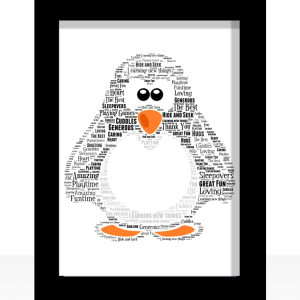 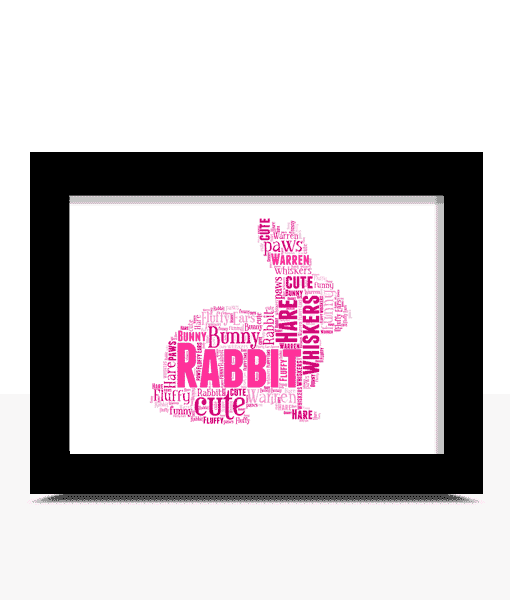 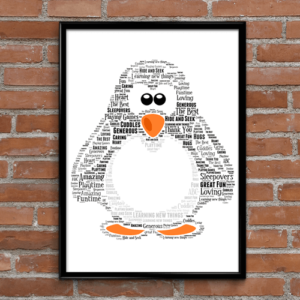 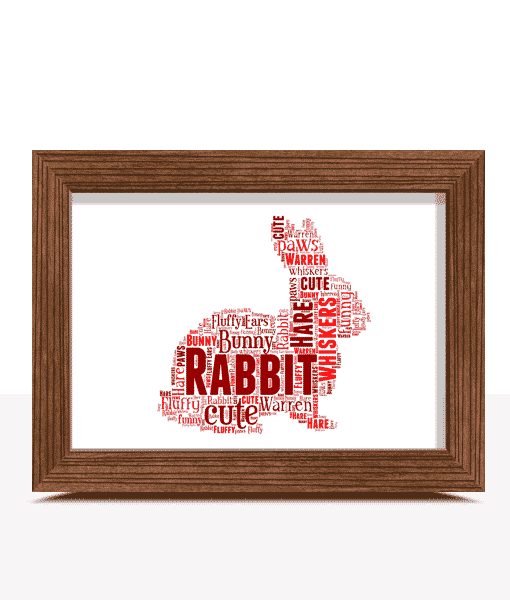 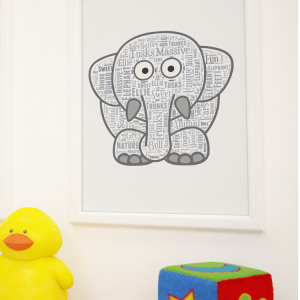 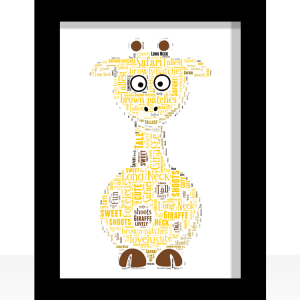 Add all your own words to this rabbit shaped word art print. 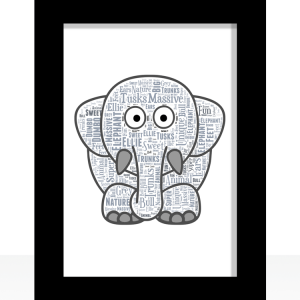 Someone from Beaumont leys recently bought this item. 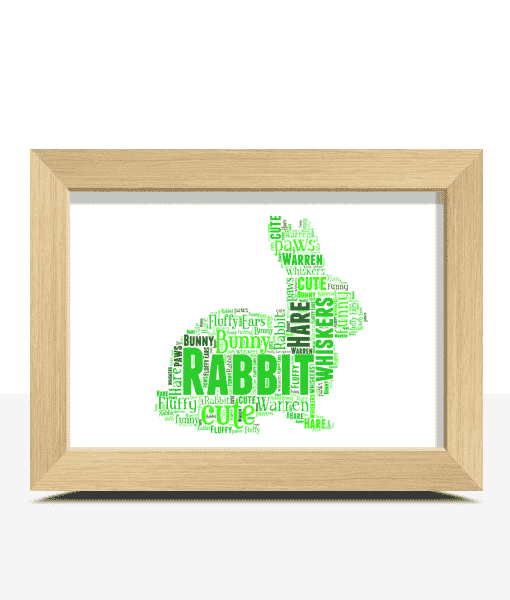 Create your own Bunny Word Art. 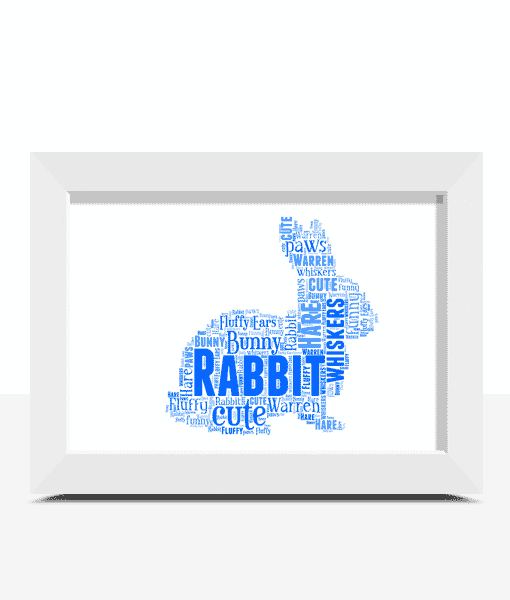 Example: Rabbit, Cute, Bunny Ears, Fluffy, Hare, Warren, Hutch, Fluffle, Buck, Doe.